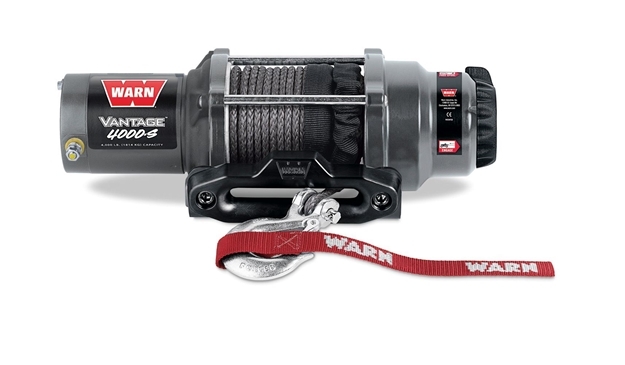 Vantage 4000S Winch | WARN Industries | Go Prepared. This is the perfect winch for Side x Side owners who need reliable big pulling power. With a stout 4,000 Pound pulling capacity, 55 Foot of synthetic rope, and best-in-class performance, the Vantage 4000-s will pull the biggest Side x Sides with confidence.